I drafted this single pattern from an existing singlet, lengthening it a little, and adding extra width to the shoulder straps. Due to it’s lack of stretch I added a dart to the armhole to stop it gaping. The neck and arms are bound, and the hem is just turned twice and zig zagged in place. 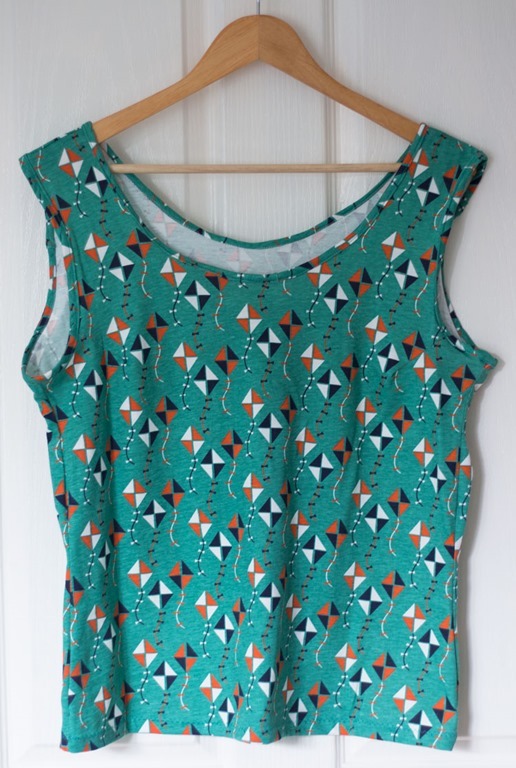 It was an easy garment to sew and I managed to complete it while Elijah had a nap which certainly made it easier! I look forward to wearing this with a pair of jeans and a cardigan as Spring arrives.